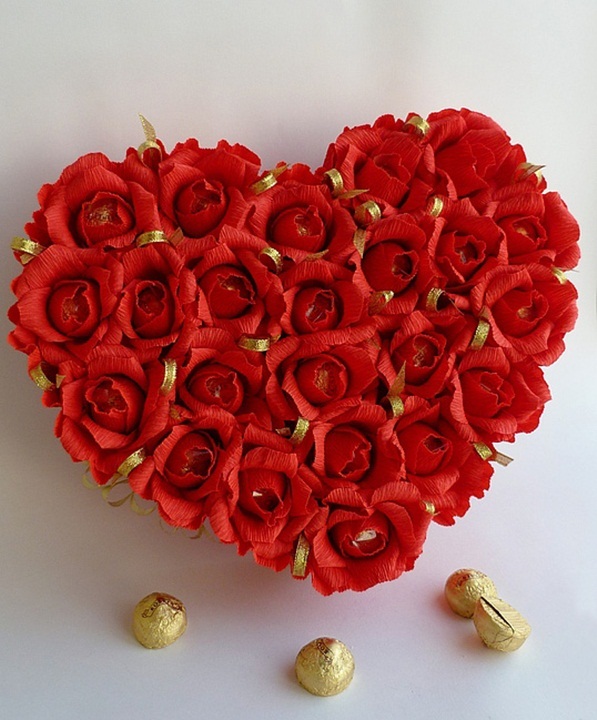 What is the best gift for your loved ones? 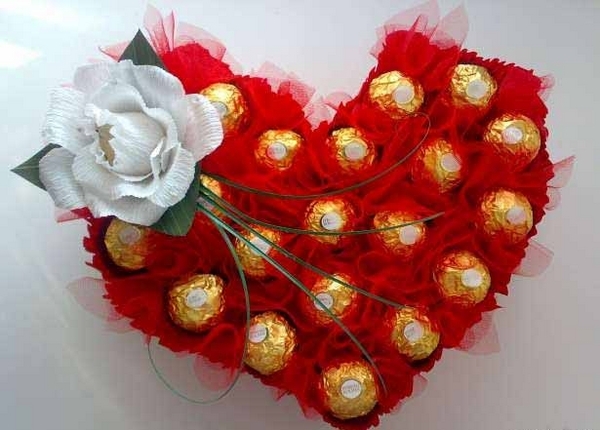 Of course, your love. 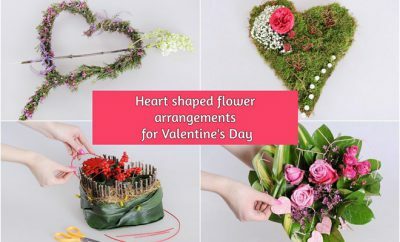 But if you want to be a little more creative for Valentine’s Day, then you can try making these sweet heart-shaped chocolate bouquets. 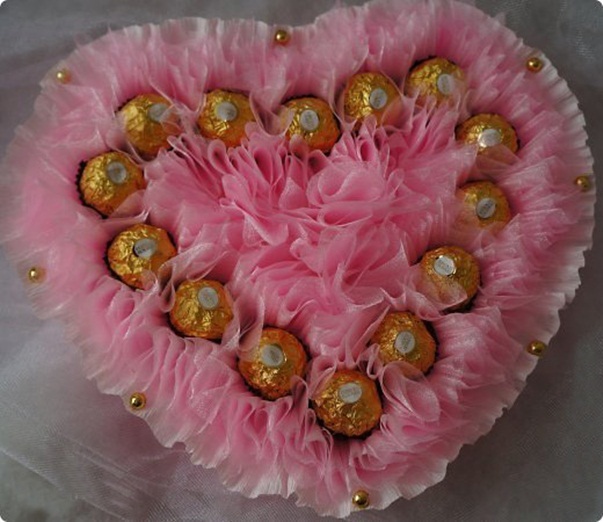 It’s a lovely and easy DIY Valentine’s Day gift idea and now we are going to reveal you some tricks on how to make these attractive hearts of chocolates. 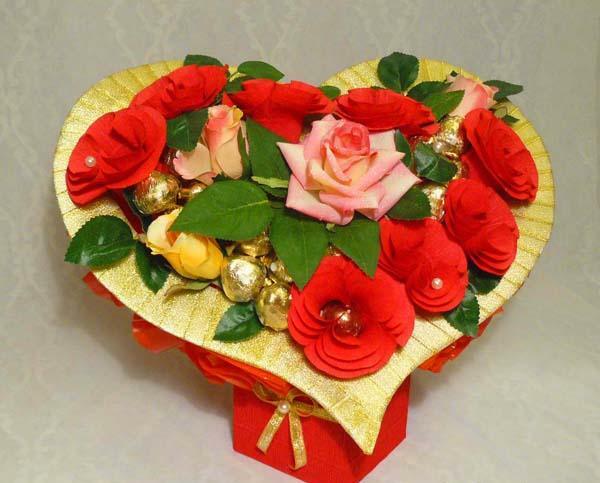 February – the favorite month of the couples, because they can celebrate Valentine’s Day. 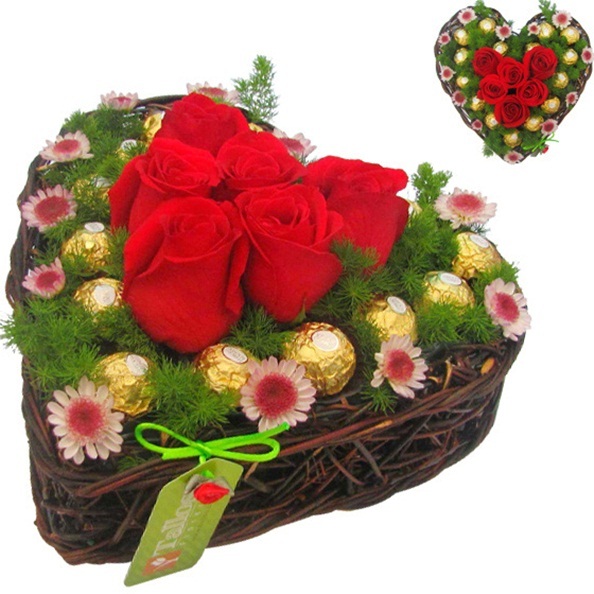 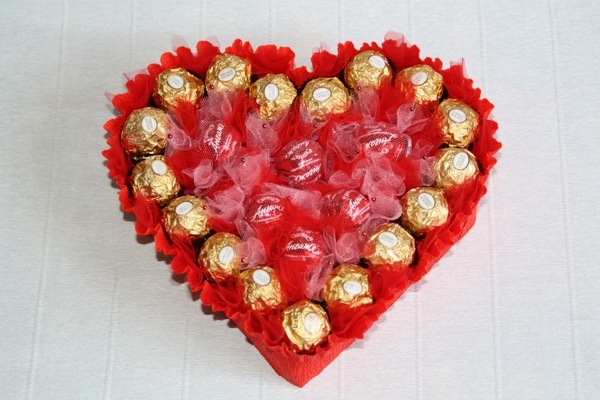 On this holiday the classic gifts are chocolates, flowers and hearts because they symbolize the feeling of love. 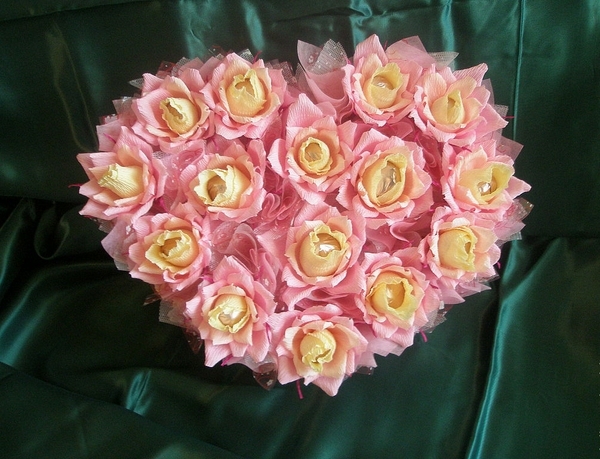 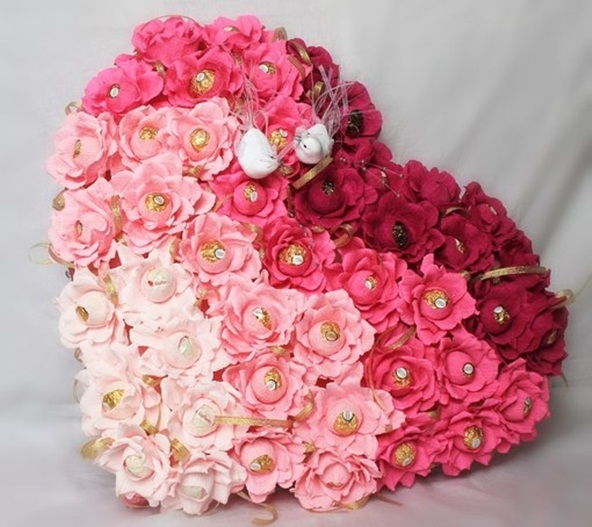 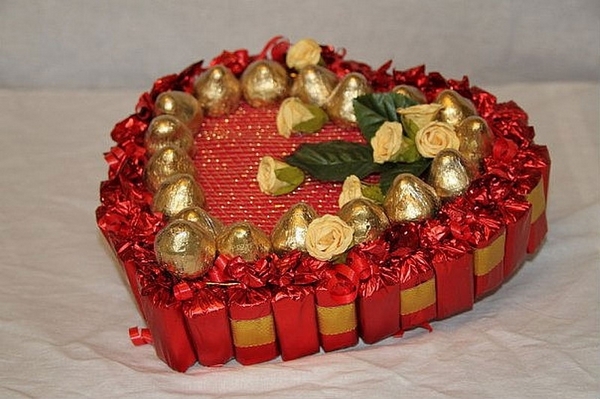 So why not combine everything in these beautiful heart-shaped chocolate bouquets? 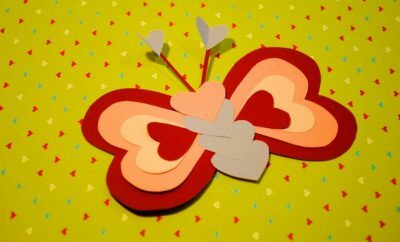 The principle is very simple. 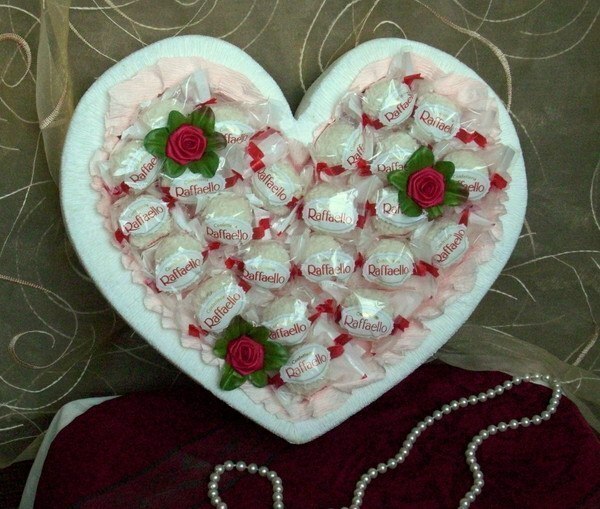 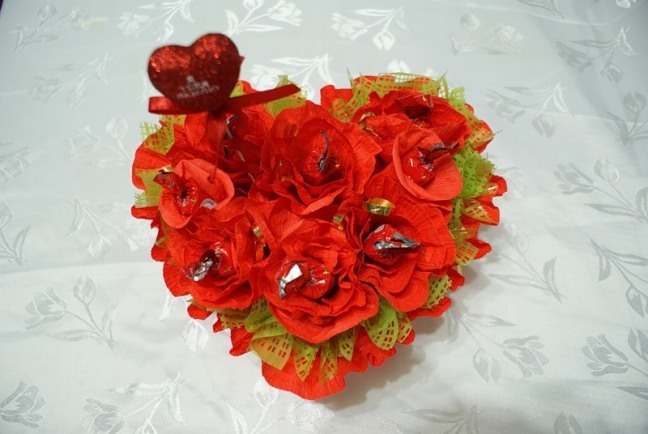 You’ll need a heart-shaped foam base, chocolates in a nice wrappers, satin ribbons and organza, toothpicks, a hot glue gun, crepe paper, rhinestones, beads and other embellishments. 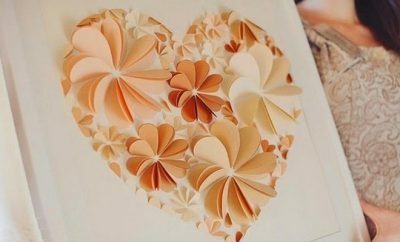 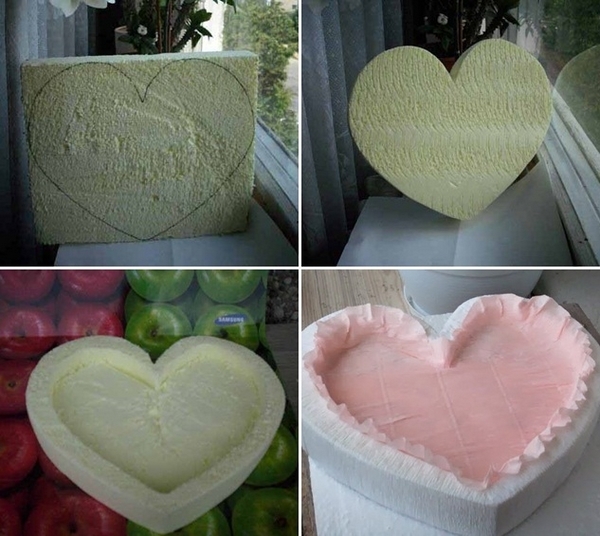 First you have to cut the foam in a heart shape.Then you need to cut a strip of crepe paper and wrap it around the perimeter of the heart. 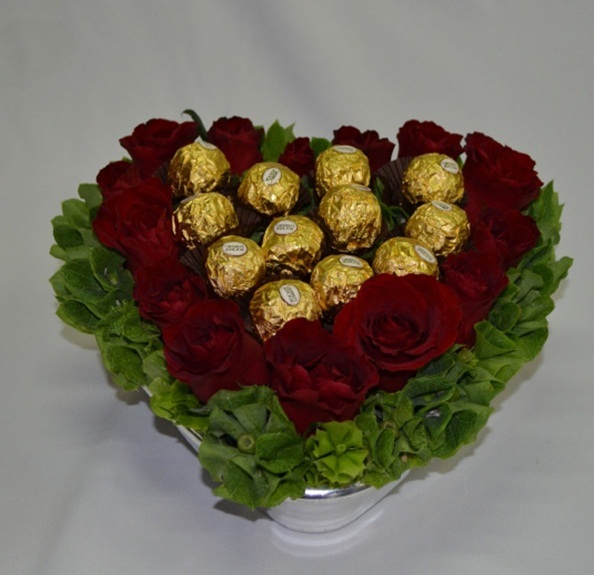 Then make the chocolate flowers (tutorial) and arrange them all over it. 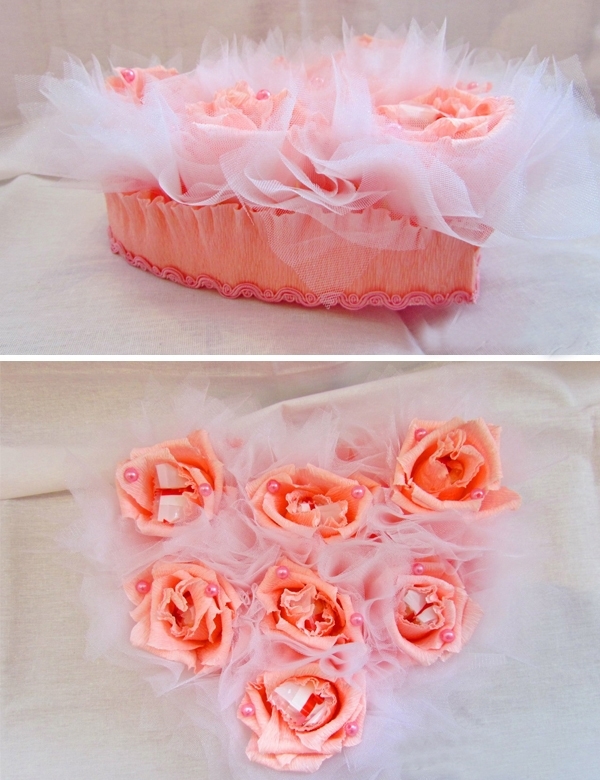 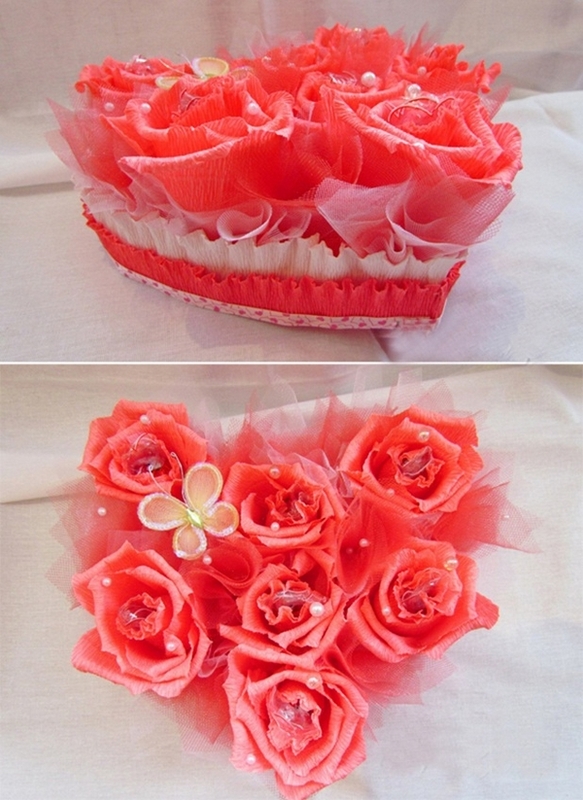 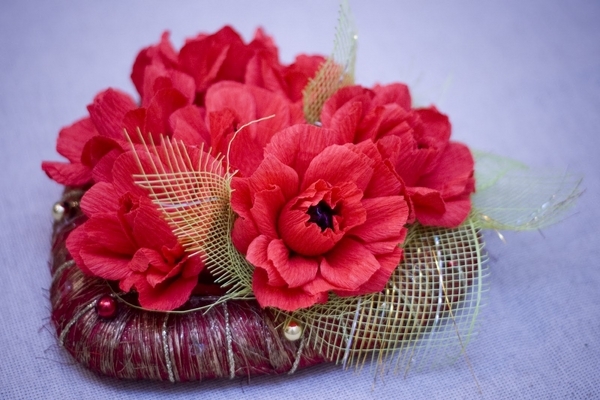 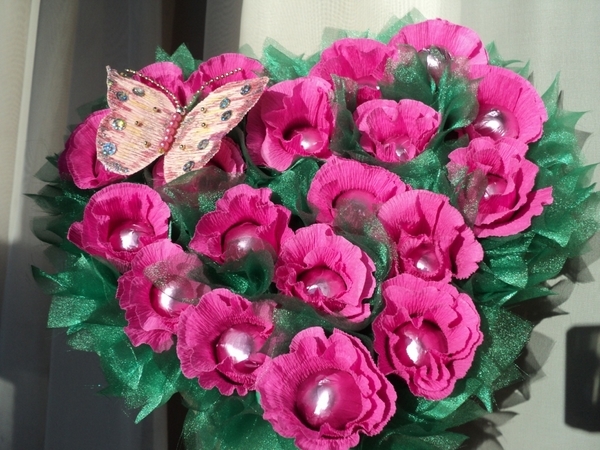 Fill the gaps with organza or real flowers and decorate with beads, pearls and butterflies. 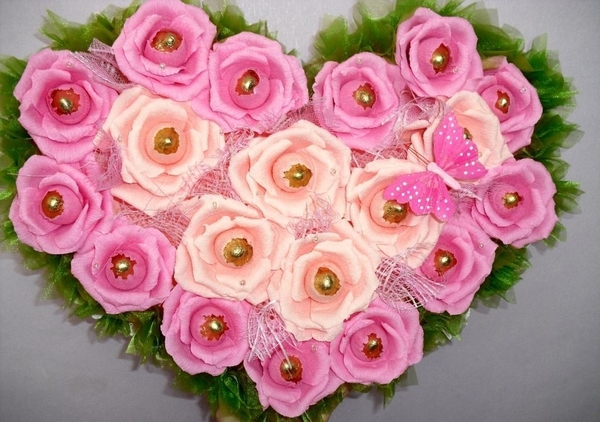 Look at the wonderful designs below and pick your favourite!